Model and portrait photoshoot with the lovely Keely Hephburn! The Hot Iron Holster is a great travel must-have! 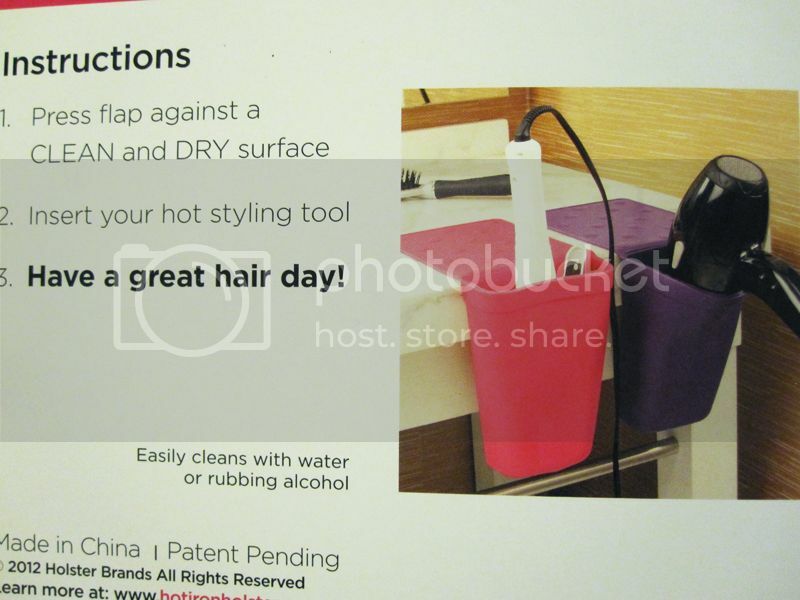 It is a brand new travel and beauty product that solves the problem of where to put hot styling tools. The heat resistant silicone Holster provides a convenient way to keep hot styling tools organized and safe while on the go. The proprietary silicone material allows the Hot Iron Holster to cling to any smooth surface without suction cups or adhesives. So if you’ve ever tried to get ready on an airplane lavatory, the Holster can hold all the tools & toiletries that you need. 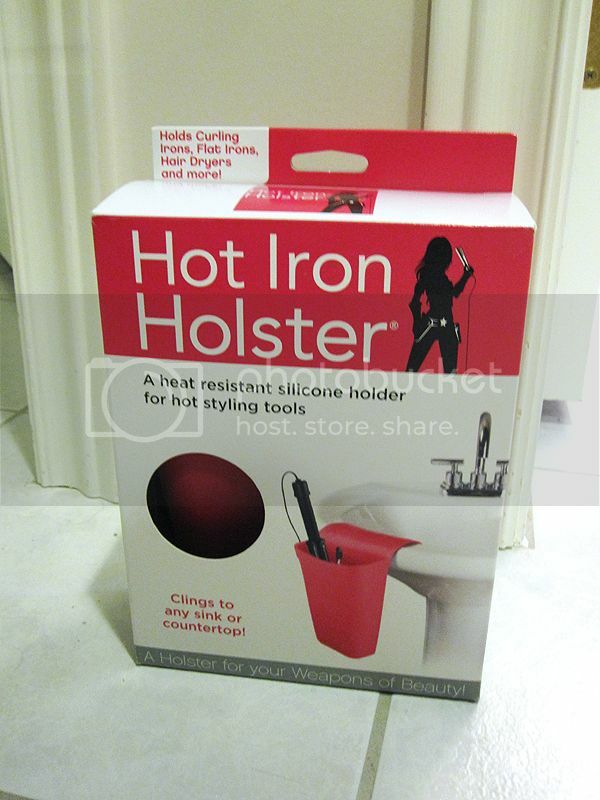 I received my choice of the pink colored hot iron holster to review. 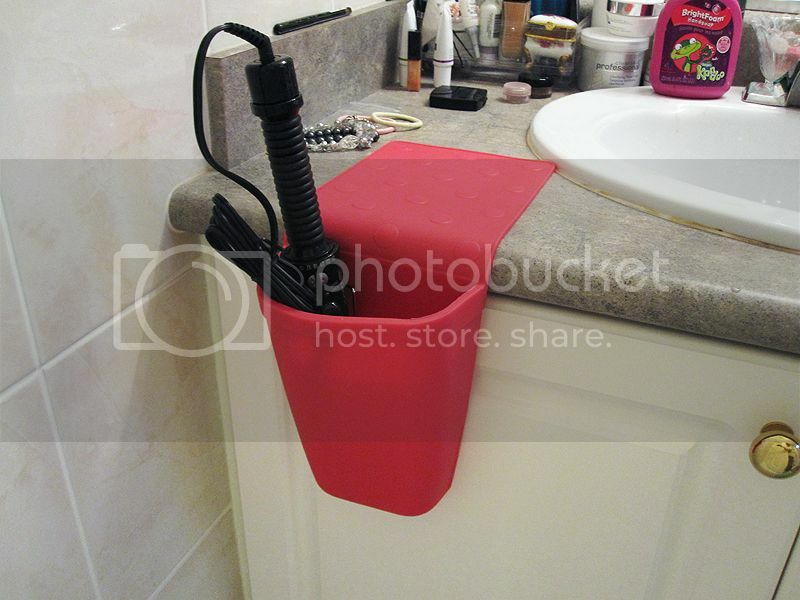 The Hot Iron Holster does not use adhesives or suction cups and does not permanently attach to your bathroom fixtures. It is a great space saver as well to keep my small counter uncluttered. Styling tools can be placed in the holster during heat up, while in use, and during cool down. I can also use it to hold other styling tools such as brushes, hair products, and accessories. - holds curling irons, flat irons, hair dryers, and more! Erin Balogh invented the Hot Iron Holster when her pedestal sink refused to make space for all of her hair products and tools. Erin Fashioned a creative and useful pouch made of hot pads and oven mitts. Her homemade invention is the inspiration behind its silicone legacy, the Hot Iron Holster. Hot Iron Holster is celebrating PINK this October by donating a portion of proceeds to the American Cancer Society for purchases of their PINK Hot Iron Holster. They also have a team page setup for the Making Strides Event in San Diego: http://ow.ly/elBUf. 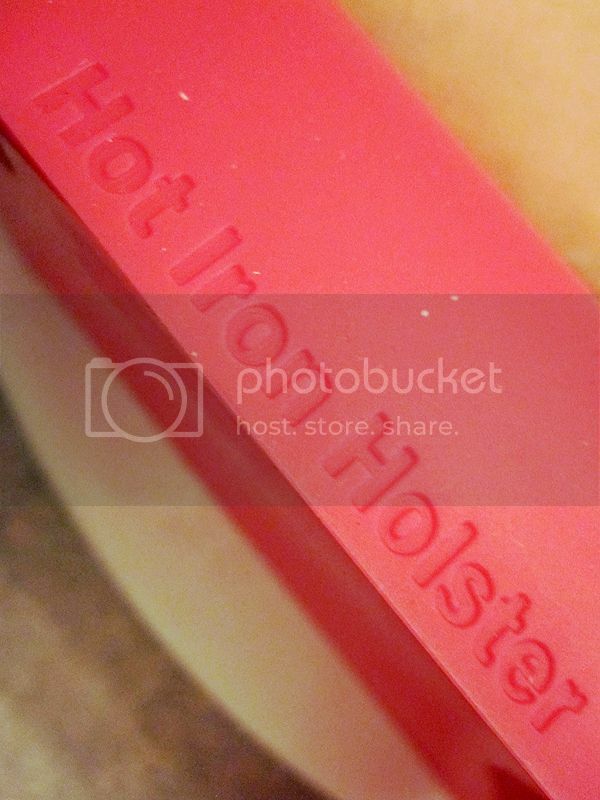 WHERE TO BUY: The Hot Iron Holster is available at www.HotIronHolster.com. The product comes in pink, purple, black, and white and has a suggested retail price of $24.95. 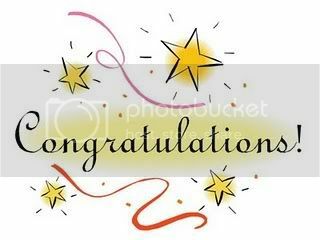 Announcement: The lucky WINNER for the The $5 Dinner Mom One-Dish Dinners Cookbook Giveaway that ended October 26, 2012 is..... (drum roll, please). As part of a campaign to celebrate the availability of the iconic The Original SoupMan soups (inspiration for the Seinfeld "Soup" episode) in the soup aisle of supermarkets nationwide, the company has launched the "Soup with Shaq" Sweepstakes via its Facebook page. Four grand prize winners will have the chance to win a trip to meet with Shaquille O'Neal, equity partner and brand ambassador of The Original SoupMan, and to spend some time with him over lunch and, of course, a delicious bowl of The Original SoupMan soup! SoupMan, Inc. (OTCBB: SOUP) announced The Original SoupMan - the inspiration for the famous Seinfeld “Soup” episode and #1 Zagat-rated, best-tasting soup in the world – is now available in the soup aisle of more than 3,000 supermarkets across the United States. Soup fans can now find The Original SoupMan, packaged in its new, shelf-stable Tetra Recart carton, in the soup aisle of many of the nation’s largest supermarket chains, including: A&P, Associated Food Stores, Carrs, Dominick’s, Fairway, Food Emporium, H-E-B Supermarkets, Pathmark, Pavilions, Randalls, Safeway, Super Fresh, The Fresh Market, Tom Thumb, Vons, Waldbaum’s, Weiss, Woodman’s, and more. The soups are also available online at Amazon.com. To find the nearest retailer, visit www.originalsoupman.com/soup-shop/grocers-near-you. To celebrate the national rollout, Shaquille O’Neal, brand ambassador and equity partner, is driving The Original SoupMan SoupTruck, a new mobile franchise concept, through the streets of New York City on Friday, October 19, serving New Yorkers free bowls of hot, delicious soup. The Original SoupMan has also launched the “Soup with Shaq Sweepstakes,” a Facebook-driven promotion that will give four grand prize winners the chance to win a trip for two to meet Shaq and talk over a bowl of The Original SoupMan soup. For Official Rules and to register to enter, visit www.facebook.com/TheOriginalSoupMan. The Original SoupMan soups sold in supermarkets feature the same obsessive perfectionism and eclectic varieties for which the brand is famous, starting with Lobster Bisque, Chicken Noodle, Lentil and Tomato Bisque. Suggested retail price is $3.79 to $3.99 for a two-serving, 17.3 oz. carton. The innovative, shelf-stable Tetra Recart carton package maintains the impeccable taste and quality standards that made The Original SoupMan famous, while allowing consumers to now find The Original SoupMan in the soup aisle, along with Campbell’s (NYSE: CPB) and Progresso (NYSE: GIS) soups, where over $6 billion in soup purchases occur annually. The Tetra Recart carton packaging is made from renewable resources and is BPA-free and recyclable. In addition to The Original SoupMan being available in supermarket soup aisles, the company recently introduced its full-scale school lunch program at the School Nutrition Conference in Denver. The program includes affordable, low-sodium, low-fat options, including Shaq-A-Roni ‘n Meatballs and many vegetarian recipes, created with the guidance of Tim Gannon, co-founder of Outback Steakhouse, and SoupMan, Inc. Board member and Culinary Director, to meet new USDA guidelines for school foods. The Original SoupMan Mexicali Bean lunch is currently being served to New York City public school students. Attention bloggers: Join Mom to Bed by 8 for the iPad Mini Holiday Giveaway Event. You will receive Facebook and Twitter follow on the form at no cost as a thank you for participating in this event. You must post about the giveaway announcement. 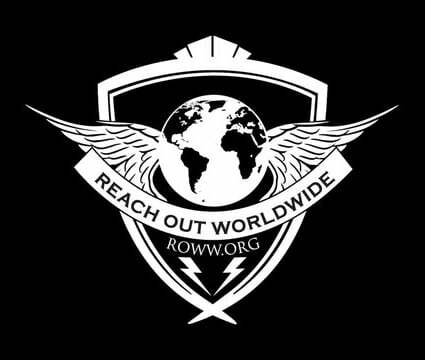 The person that refers the most unique people to this event who follow through with publishing (or pay as a non-publisher) will receive a $50 Amazon Gift or Paypal Cash (your choice). 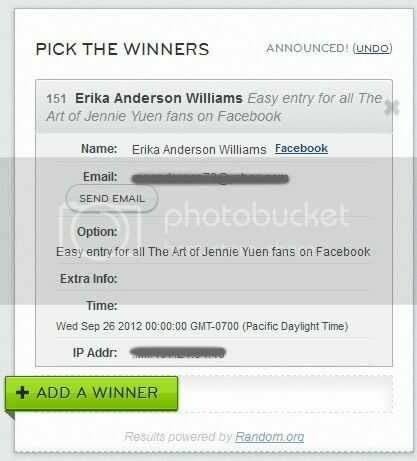 Please mention Jennie from "The Art of Jennie Yuen" referred you. Thanks so much! Thinking or needing a vacation? There are a few places I want to go. 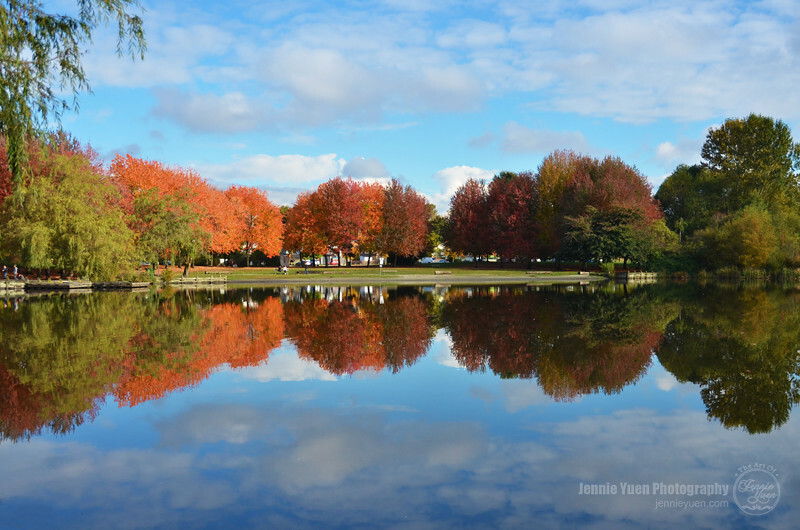 Fall is the perfect time to get away - great weather, not too hot or buggy, the beautiful fall foliage, and fall foods are some of my personal favorites. I love long weekends this time of year, and highly recommend grabbing the spouse and kids, hitting the road, and finding an interesting destination. One thing you never want to worry about when you travel, is the sort of hotel you will wind up staying in. It can be hard to book online- so many places "fluff" the reviews by having friends and family members post positive ones, and people generally only post ratings on hotels if they loved it or truly hated it. Sometimes I read them and am amazed at the crazy things people will write about. It can sometimes be simpler to stick with a hotel brand that you know, like Country Inn and Suites. I would venture to say that no matter where you plan to stay, there will be a location nearby (even out of the USA, they have quite a presence). More then once, I have ended up in a hotel that was pretty "rough", had beds that looked like they had never been deep cleaned, or where the soles of our feet turned black with the grime from the room's carpeting. I can honestly say I have never been disappointed in a stay with Country Inn and Suites. Great breakfasts, and many of the hotels even offer free cookies, drinks, and popcorn in the evening. One of you can win the chance to do some free fall traveling on your own- win 4 free nights at a Country Inn and Suites of your choice. Please see below to win, and for rules and entry options. Good luck! 1) Each free night voucher is valid for one free night, standard room, double occupancy at any North American Country Inns and Suites of the winner’s choice. The voucher expires one year after the issue date. The full terms and conditions are located on the room night voucher. 2) Entrants need to reside in the US or Canada and must be at least 18 years old. This is a part of Country Inn and Suites Free Night Fall promotion, where you can have an opportunity to win an additional free night in their giveaway. Details and official rules can be found here. Chosen winners will be selected via Random.org through Rafflecopter. Winner will have 48 hours to respond to claim their prize. Do you love fashion and jewelry? See the latest and most updated fashion trends and events. StyleLately.com brings you all the latest fashion trends and hottest collection of fashion jewelry and accessories for 40-70% off! 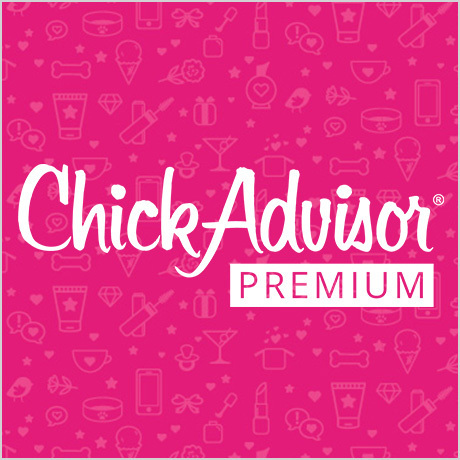 Special thanks to our lovely co-hosts Military Wives Saving, Zoes Printable Coupons, Swank Savings, Jenny At Dapperhouse, Ranking in the Savings, Barbara's Beat, The Dragyn's Lair, The Fashionistyle and Sweet Pea Savings! Four (4) lucky readers will have a chance to win the following: $50 Nordstrom Gift Card, $50 Old Navy Gift Card, $50 H&M Gift Card and $50 Forever 21 Gift Card! Chosen winners will be selected via Random.org through Rafflecopter and is open to US ONLY, 18+ (ends November 12, 2012 at 11:59pm EST). Winner will have 48 hours to respond to claim their prize. * You will receive 1 link (choice of Faceook or Twitter) at no cost with announcement or pay a $5 fee without announcement. * Additional links are $3 each. * Agree to post the giveaway html on the date the event begins and promote daily at least 3x a week. * If you are interested in a non-publisher spot or sponsoring this event, please email teri[at]mompoweredmedia.com with your request. 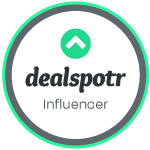 Those who refers the most bloggers to signup the event will get their Blog Name with a link back to their blog for free on the giveaway post. Please feel free to mention JENNIE from "Jen's Blog of Random Thoughts" (jennieyuen.blogspot.com) referred you! Thanks so much! 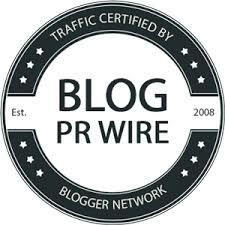 Attention bloggers: This is a free blogger event. You will receive one link at no cost as a thank you for participating in this event. * Join the MPM group https://www.facebook.com/groups/blogresourcesopps/ for the most up to date information. Model and portrait photoshoot with the lovely Nicole Roy!